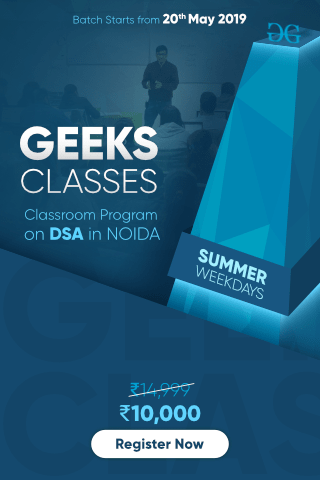 Memory Address Register (MAR) is the address register which is used to store the address of the memory location where the operation is being performed. Memory Data Register (MDR) is the data register which is used to store the data on which the operation is being performed. 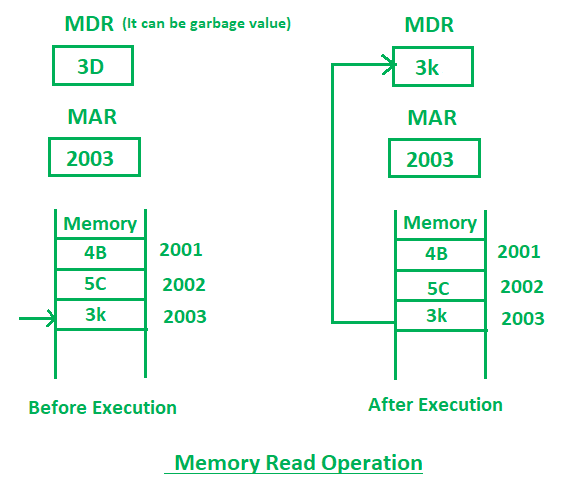 In the above diagram initially, MDR can contain any garbage value and MAR is containing 2003 memory address. After the execution of read instruction, the data of memory location 2003 will be read and the MDR will get updated by the value of the 2003 memory location (3D). In the above diagram, the MAR contains 2003 and MDR contains 3D. 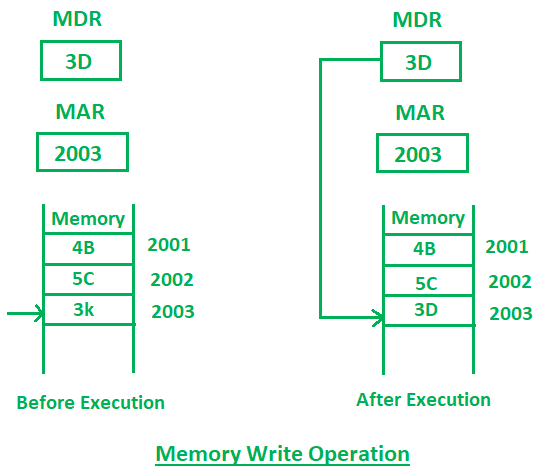 After the execution of write instruction 3D will be written at 2003 memory location.